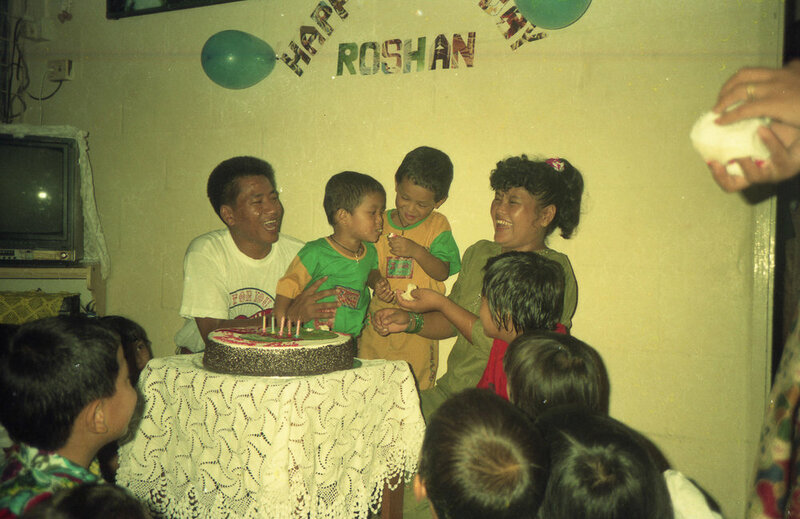 Celebrating Roshan's (middle, left) fifth birthday celebration in their new home at Everest Heights. His brother Kiran is beside him. Date: 1993. Photo Collection: Shanta Bahadur Gurung / SGPM.